Mark rode the Tradesman over to Hugga HQ yesterday with a repaired wheel and his bag on the front rack. 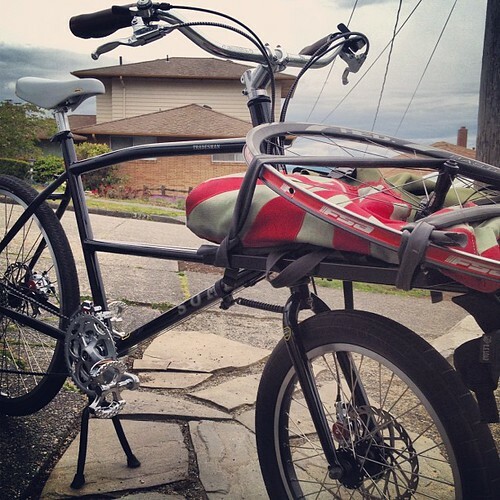 This is our new light-duty cargo bike in on test. Note the endearing parts spec, like that Rolls knockoff, pedals, and grips.